Over half a million Australian cars are now thought to be affected by a worldwide car recall. Over 31 million cars have been recalled across the world. The cars are thought to be at risk of faulty airbags which could be dangerous upon impact. BMW, Toyota, Honda, Mazda, Nissan, Lexus, Mercedes-Benz, Chrysler, Ford and General Motors have all be affected. The recall affects over 50 million vehicles globally, all fitted with airbags produced by Takata Corp, a Japanese manufacturer of safety products, including airbag technology. The airbag fault has been linked to six deaths and around 100 injuries worldwide. The fatal airbag faults were all on Honda cars, though other brands have joined the recall as a precautionary measure. The source of the fault is thought to be the airbag inflators being susceptible to moisture (created by high humidity and warmer weather), causing it to explode with force during an impact. 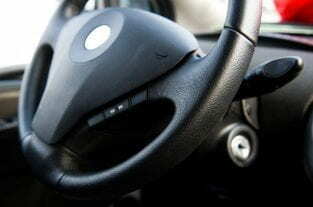 The excessive force can lead to shrapnel being thrown out from the mechanism at the time of impact, potentially causing injury to the driver or passenger. After seven years of investigation, Takata have identified this as the most likely fault. Takata have also identified a number of other issues that may have contributed to this design issue and have released a statement reassuring consumers that they are confident with the safety of their new airbags. The car industry is contacting affected vehicle owners by mail. Most of the affected cars were made between 2003-2007, and so many may have since been sold on by the original owners. A number of these cars may have since been bought second-hand. The car industry has yet to hear from some owners of recalled cars, so it is important to check that the car you drive has not been affected. If you are worried that your Australian car might be at risk, check the government recall website for a list of the makes and models of cars affected.